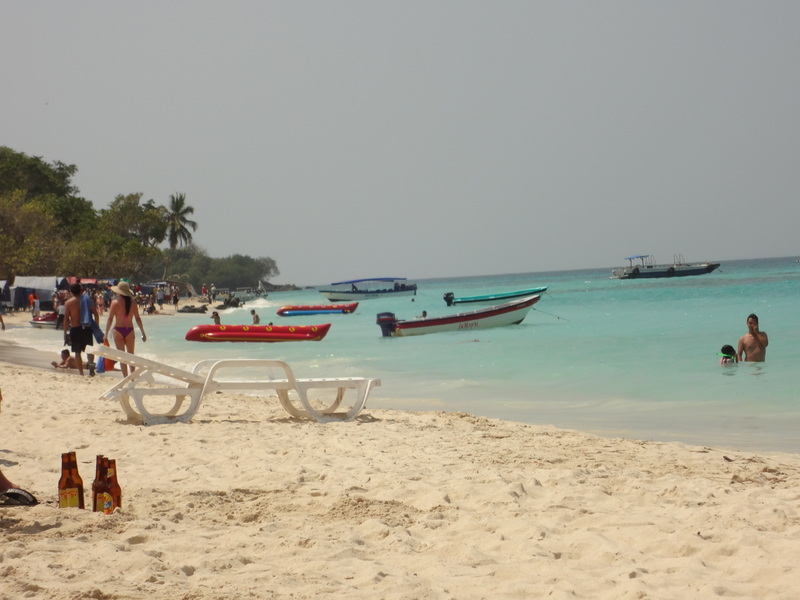 Playa Blanca is an island located off the coast of Cartagena, and easily accessible by boat. There are many tours available. 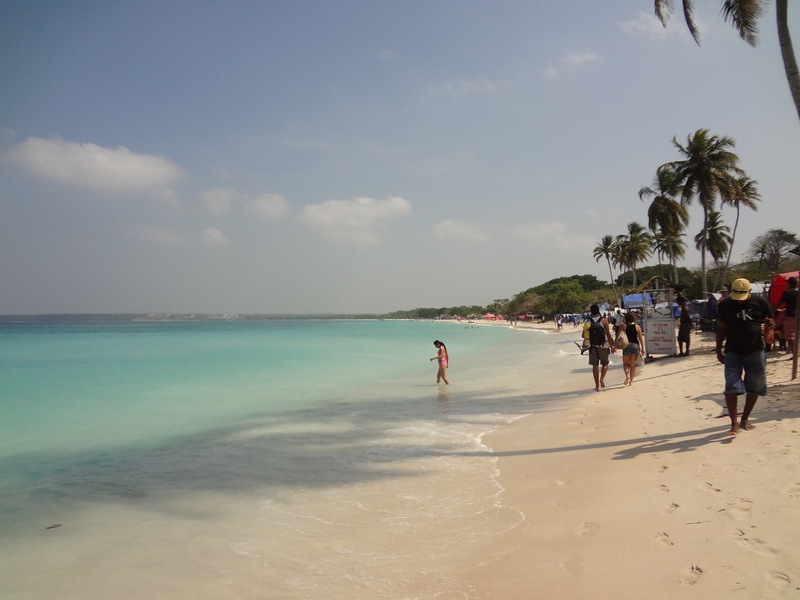 Several stop by the Rosario Islands as well as an aquarium, but a few go directly to Playa Blanca. There is a large ferry boat available (Alcatraz), but because of its size, takes about two hours each way. The smaller speed boats, take just 45 minutes each way.You can walk to the marina and purchase your tickets the morning of the trip. I paid 50.000 COP for the boat ride and lunch (you have to negotiate!). I was a little weary of speed boats, given that I got pretty nauseous when I did a speed boat tour in Thailand two years ago. 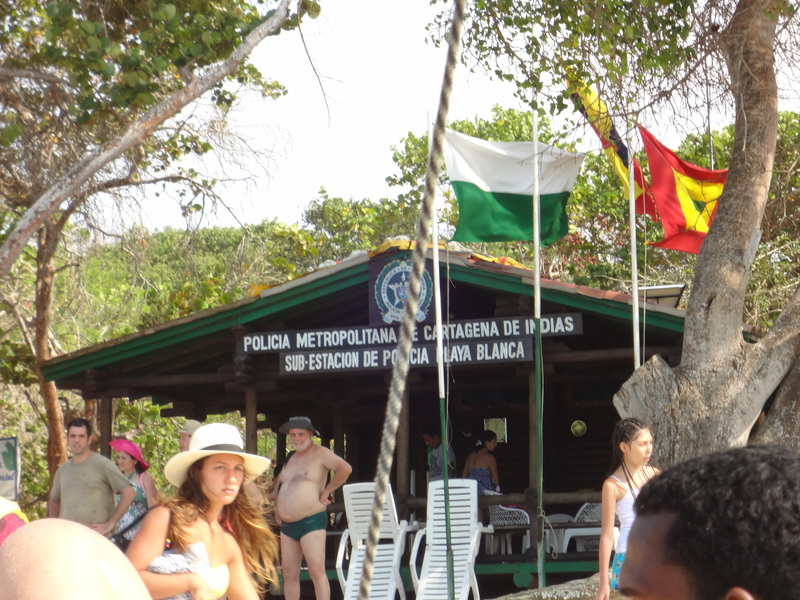 But I was pleasantly surprised when I found that I was totally fine the entire ride to Playa Blanca. Soon the boat reached the island. We jumped off the boat into a few feet of water and walked to the shore. The water is the clearest shade of turquoise I’ve ever seen. It’s also quite warm! As the name implies, this is white sand beach paradise! 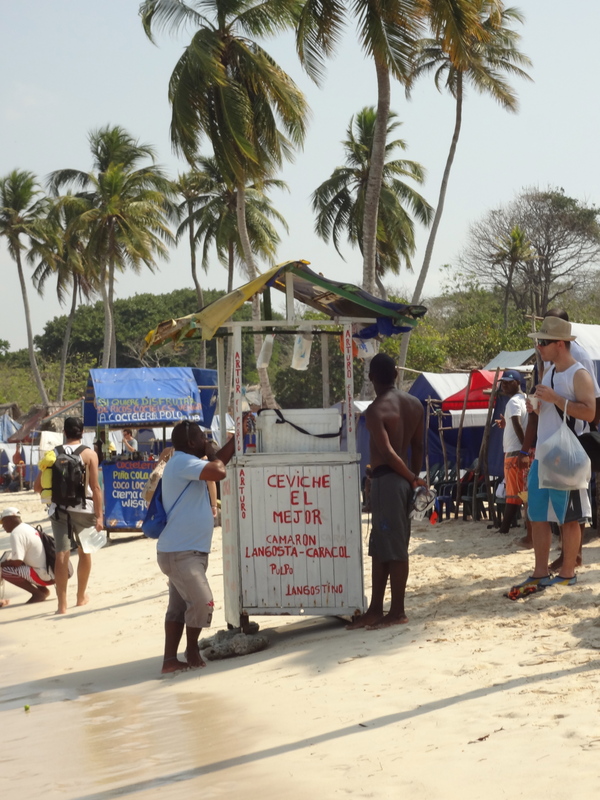 The entire stretch of beach is lined with little tents to provide shade. Again, negotiating is key here. The first person wanted 30.000 COP, but further down the beach there was a great spot for just 10.000 COP. Many people living in the adjacent pueblos of the island make their living by selling jewelry and offering massages to tourists. I honestly didn’t feel too hassled by this. Most people weren’t too invasive, and a simple “no, gracias” was all that was needed if you weren’t interested. I ended up talking with Fernando, who sells beaded necklaces. He told me about his life on the island, and what it was like to live there. One of the things he told me that stuck with me was that the people who work on the beach are very hard workers and try hard to make a living, but that they are honest, and would never steal anything. It was interesting that he mentioned that because that was precisely the vibe I got. I didn’t buy anything, but I did get a masaje! It started with a free demonstracion foot massage that was just too tempting, and led to a 30 minute body massage. These ladies aren’t certified masseuses, but they know what they’re doing! 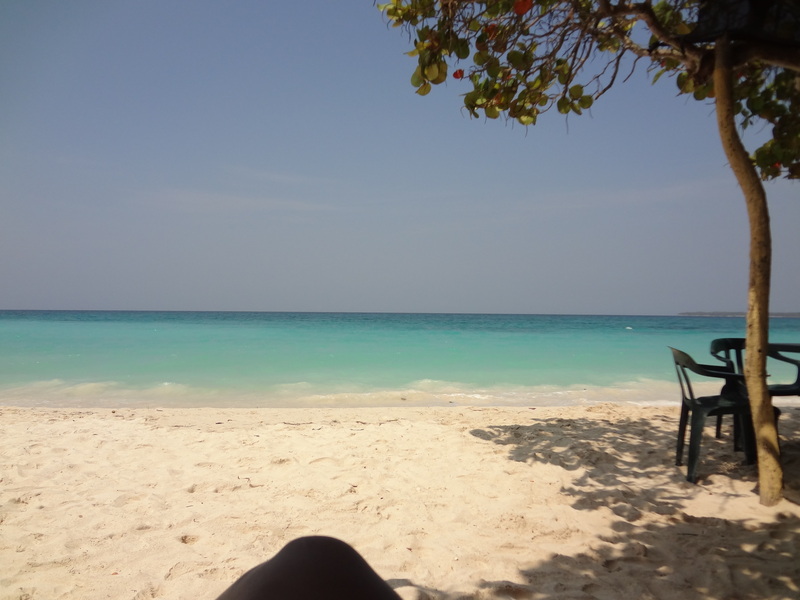 It was worth the 35.000 COP for a relaxing massage on the beach, with the waves in the background. Lunch was also included with the boat ride. Best meal of the entire trip! 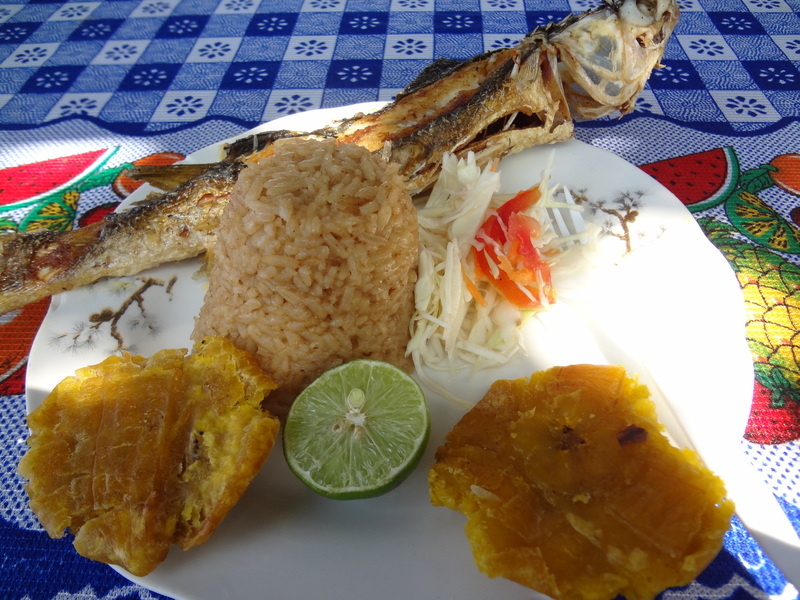 Freshly caught, whole fried fish, with sides of coconut rice, salad, and plantain cakes. Delicious! After a few more hours of swimming and relaxing, it was time to get back on the boat. Getting off the boat was definitely easier than getting back on! Most of the male passengers were able to climb on by themselves. But the rest of us needed help! The guys working on the boat literally scooped us up and lifted us onto the boat! Some people had a harder time than others. There was a middle-aged American woman who required the assistance of several of people, as well as a young couple who brought a baby girl with them that needed some help. But she got along well with the boat driver, which was pretty cute! So we set off back to Cartagena, and I’m assuming the ride back will be just like the ride there. Well, I was WRONG! By the late afternoon, the waves had gotten pretty big. In addition, the boat driver was a daredevil. He’d hit the gas, and then let go, making the boat crash hard into the water. Over and over and over. On the plus side, even with all that, I wasn’t nauseous. Probably because I was scared out of my mind!!! Every time the boat hit the water, it felt like the entire boat would crack to pieces. It also felt like we were all going to fly off the boat! We had life jackets and I can swim well, but I really was not in the mood to be stranded in the middle of the sea. I spent the entire time with my eyes shut and my heart pounding, praying for our safety! I even prayed for that baby not to fall off the boat! We all made it back to land, safe and sound, with one more adventure notched into our belts. Despite the wild ride, I would definitely recommend a trip to Playa Blanca! Was it easy to find a boat to the island? It’s a beautiful beach! Me and my lady are enjoying your pics and stories. It’s partially helping us to make plans for next time. oOoOhhh can’t wait for Colombia :o) Btw is Cartagena “expensive”? Hi Antoinette, of all the cities I visited in Colombia, Cartagena was the most expensive. I was surprised by how much more hostels and restaurants cost there, but it’s manageable, and definitely worth it! When are you going? You will love it! What a blast from the past. I re-read this post and had a laugh myself, Kristen! 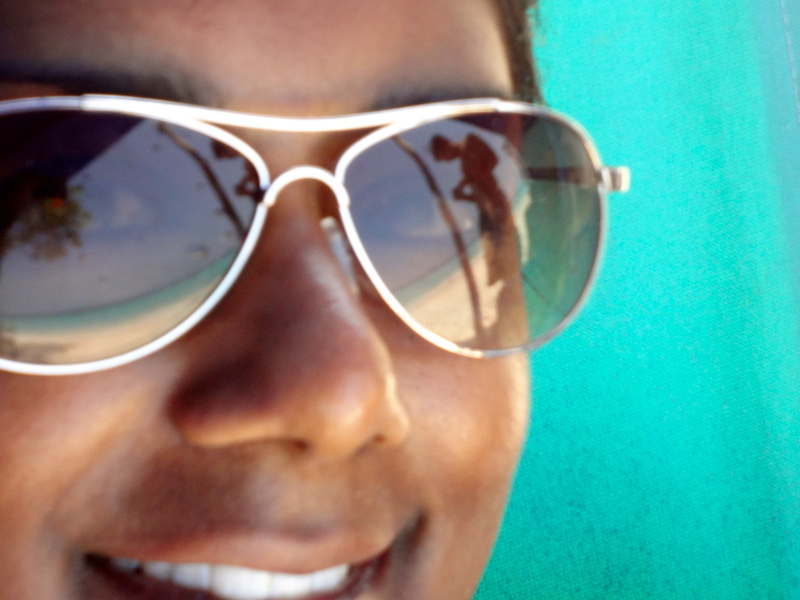 While the trip to Playa Blanca was totally worth it, I stand by my original verdict… scariest boat trip I’ve ever been on!